My team decided to go to dinner together on our first night in Chicago, and we were hoping to try The Girl & The Goat. Well, those reservations, even on a Monday night were nearly impossible. So then we tried The Purple Pig, which doesn't take reservations... but the estimated wait was nearly two hours. Yes, on a Monday! And a cold and rainy one at that. In the cool rain, we looked out across the Magnificent Mile, where we spotted Bandera. The place was packed to be sure, but we were able to get a table within about a half hour. We spent the waiting time at the bar enjoying the jazz music and libations. I really liked the ambiance! I guess I'd describe the food as a kind of Southern remix. 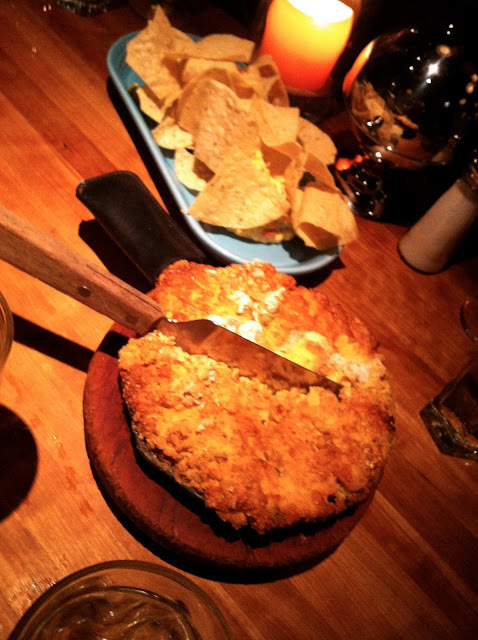 We had some awesome appetizers of the dip duo and the skillet cornbread. The cornbread had some peppers in it so there was a definite kick! 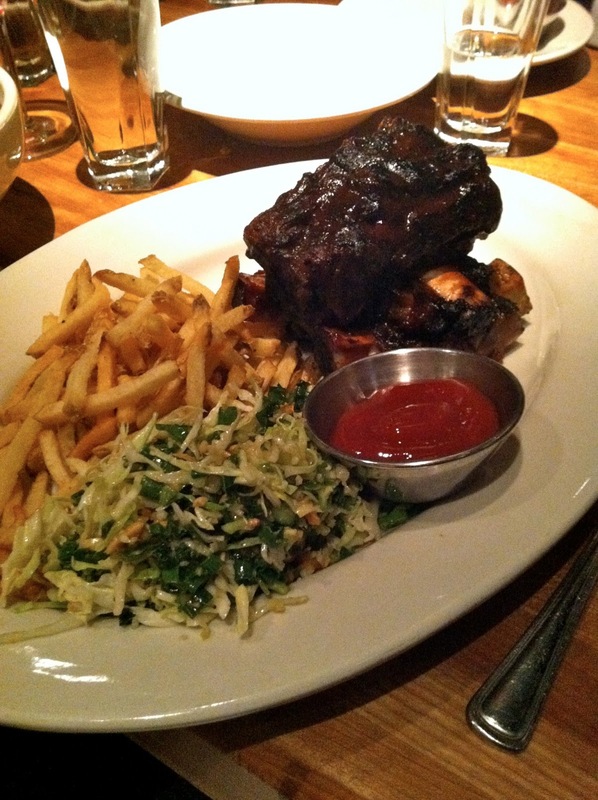 I opted for the ribs, because the waiter said they would fall off the bone... and he wasn't lying. Who'd have thought after six years in the South, some of the best ribs I've ever had would be from CHICAGO! It was seriously amazing. Also, everything my coworkers ordered was top-notch as well. Can't believe how lucky we were finding this shelter from the storm on a complete whim. My goodness, I miss Chicago!